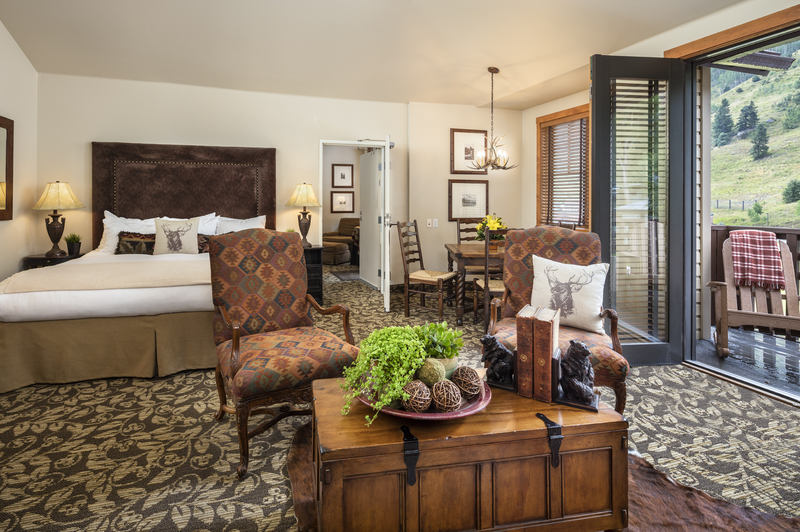 Discover contemporary sophistication in our upscale rooms and suites. 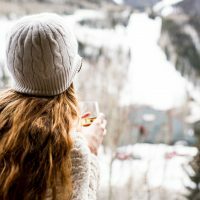 Upgrade to an Elite View room – Book Now! 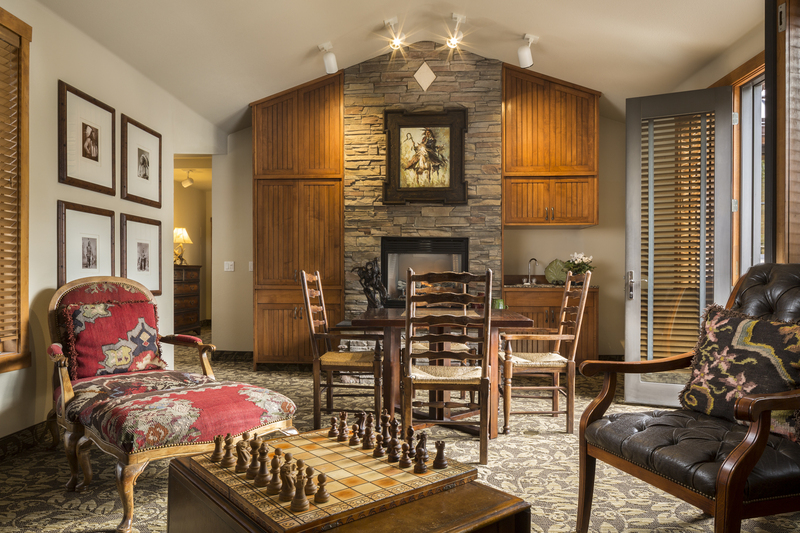 The Hotel Telluride’s most exclusive room. 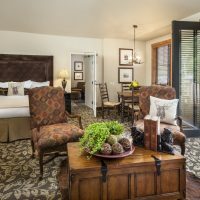 Our one-bedroom suite has a master bedroom with king size bed and double pull out sofa, a foyer outside the bedroom leads to a spacious living area. Room offers a full bath with Jacuzzi tub, a dining area with wet bar, leather couches, flat screen television and two private balconies. 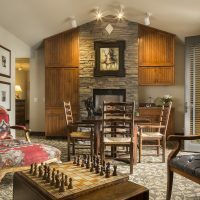 The Hotel Telluride’s Studio Suites are equipped to offer just a little more space and comfort to guests including a living area within the room topped with impeccable western charm. 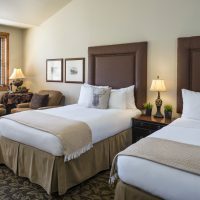 A King bed and pull out sleeper sofa can sleep 3-4 people comfortably. 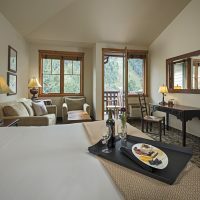 The room also offers a dining alcove, wet bar, full bath, and balcony. 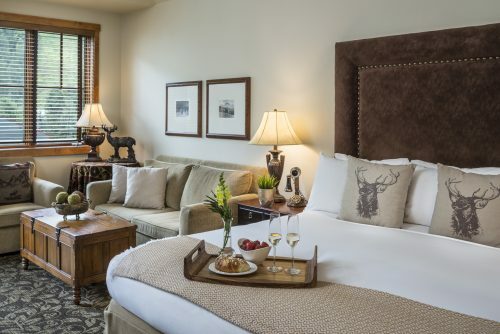 Grand accommodations are inspired with the same sophisticated charm of The Hotel Telluride Signature Suite, while also giving a little more space and relaxation for your vacation. The Grand offers a King or 2 Double beds, along with a double pull out sleeper sofa and sitting area. 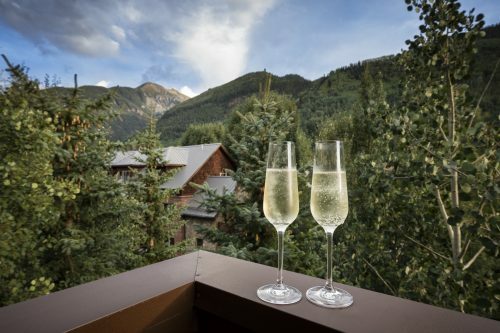 Your private balcony is available to have the mountain and valley views at your finger tips any time. 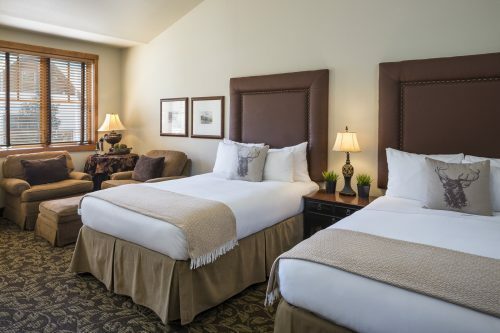 Your rest is assured with The Hotel Telluride’s ‘Incredible Bed’ including down bedding and 250 thread count sheets. 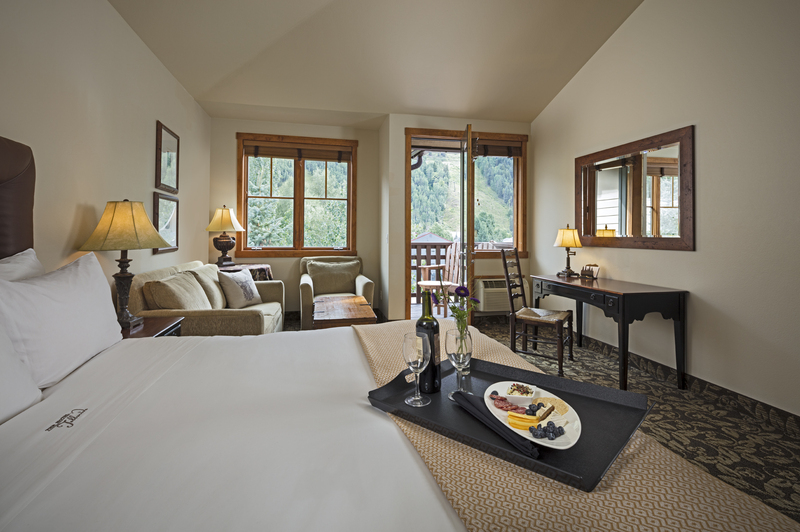 Pamper yourself after a long day of mountain adventures with our spacious bathrooms with marble accents, our plush logo bath robes, cozy slippers, and internationally recognized bath amenity line from L’Occitane products. 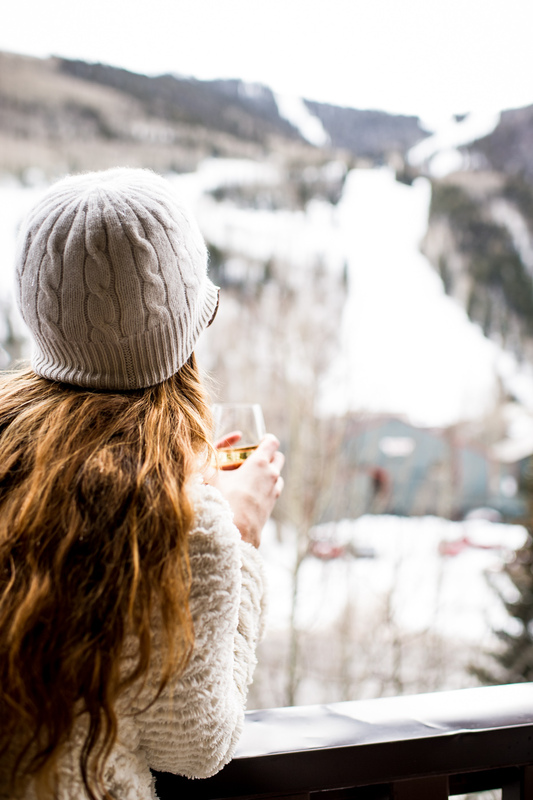 The Grand offers all of The Hotel Telluride’s signature amenities including; marble counter tops, iPod docking stations, wet bar, mini fridge, convection microwave, fully stocked plate ware & silver ware, and coffee & tea maker, humidifier, in-room safe, and complimentary wireless internet. 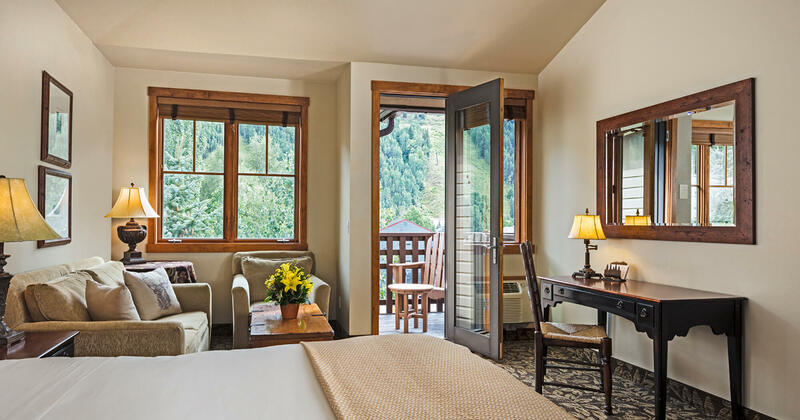 The Signature offers the most intimate accomodations, inspired by the antique western charm of Telluride’s history. 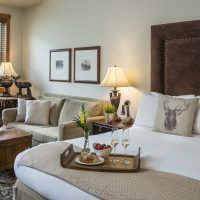 Our richly appointed Signature accommodations are decorated with warm décor and mahogany furnishings, providing just enough space and comfort for your stay. 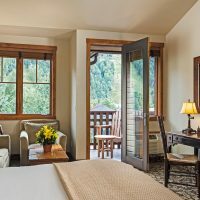 The Hotel Telluride Signature offers your choice of a king bed or two doubles, along with 1 or 2 over stuffed ottomans, antique writing desk and private balcony to take advantage of that fresh mountain air. 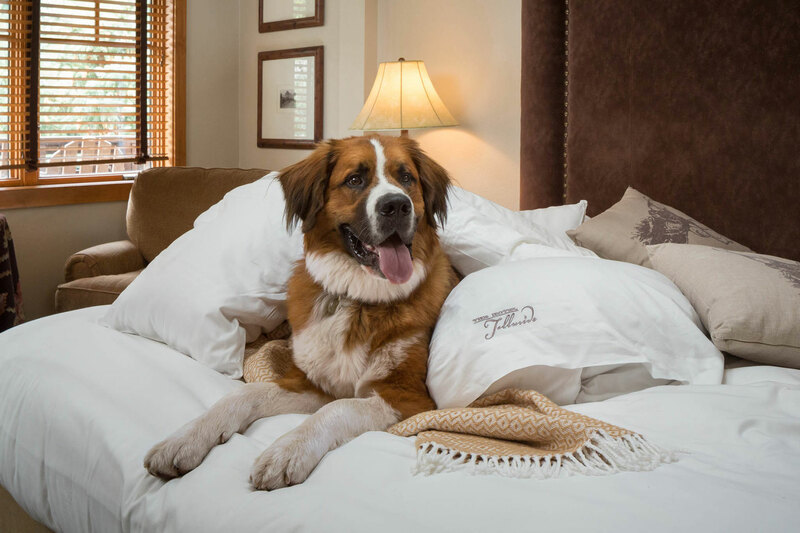 Your rest is assured with the ‘Incredible Bed’ including down bedding and 250 thread count sheets. Pamper yourself after a long day of mountain adventures with our plush logo bath robes, cozy slippers, and internationally recognized bath amenity line from L’Occitane products. 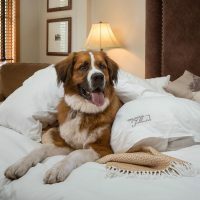 The Signature offers all of The Hotel Telluride’s signature amenities including; marble counter tops, iPod docking stations, wet bar, mini fridge, convection microwave, fully stocked plate ware & silver ware, and coffee & tea maker, humidifier, in-room safe, and complimentary wireless internet.